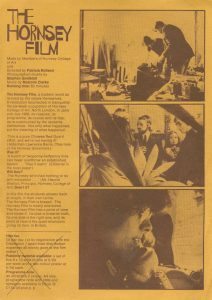 Patricia Holland, the director of The Hornsey Film sent us this original poster. She is coming to speak, later on in May, when we will be having an event to mark 50 years since May 1968. Watch this space. Hi Is this emails till active. 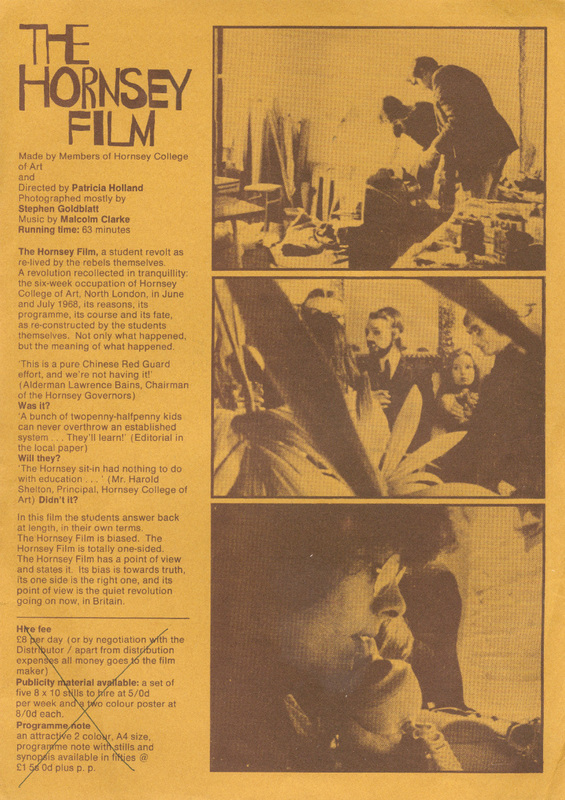 I am trying to get some info on The Hornsey College Film by Patricia Holland, 1970. Hi yes this blog is active, and yes you can watch the whole film for free on the BFI website through the BFI player. It’s worth watching a few times as the voice over and the reenactment are quite complex. We showed it to students this year in the context of 50 years since ’68, and we held a day seminar on the legacy of ’68. Good luck with your search.